Both the revelational insight and guiding instruction within this introduction of scripture underpins the progressive value standard and principles we will glean from, as we embark on the journey of finding the mind of the Spirit, as we approach the seemly shrouded subject of prayer. In my strong view, this scripture is one of the most profound utterances made by the father himself, as he brings his chosen people to the portal of eternal truth that will ultimately usher them into that position of gaining illumination and mastery over the challenges of their migration and corporate development. 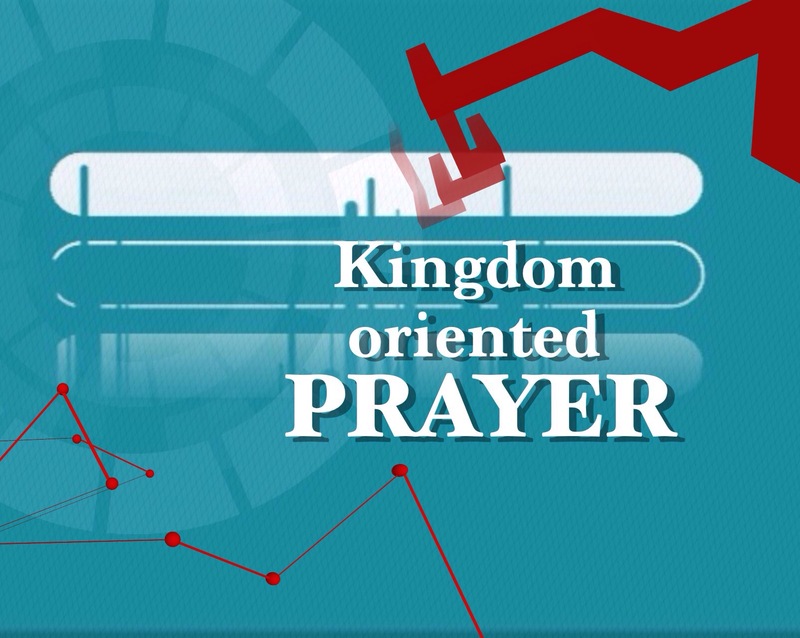 Finding the preferred position of divine approval in effective prayer devotion is not the only challenge today’s church seem to be facing, but further more, is the issue of the continuous disconnection with regards to understanding and accepting the required spiritual standard and pattern for approaching, finding and accepting the will and purposes of the lord. Another issue we see as a major hindrance to the maturity of the body of Christ, in particular to the ascended ministry of prayer, is the issue of trying to combine sound biblical pattern of prayer with what we’ve learnt and accepted as the truth through the years of being influenced by a highly humanist, religious or false cultural belief system. Unfortunately, there is no place nor room within the church or the kingdom for accommodating or combining some form of ‘higher knowledge or wisdom’, sourced from the tree of the knowledge of good and evil with the Christ-centered knowledge. All of God’s intent and desire, regardless of the sphere of existence are embedded within his thought, and expressed through an holistic biblical foundation. And we do know that only a determined company of believers willing to journey deep into the father’s heart via the ministry of the Spirit will find and execute those thoughts effectively. In other words, the only way we can correctly pray or intercede for others is to first find the father’s intention before the tool of prayer is applied for execution. It is important that we keep in focus that one of the primary assignment of prayer is to first reveal to us the father’s will, plan or intention before we step into the realm of utterance and execution. Divine instruction must emanate from its true source, which is deep within the thought realm of the Father. The thought of the father, according to the scripture is a mystery revealed through the ministry of the Holy Spirit in the priestly life of a believer. Who is he that knows the mind of the lord that he may instruct him, yet we have the mind of Christ. The Indwelling reality of Christ truth in the heart of a believer gives him or her an unprecedented access into depth of an ascended reality in understanding how to pray or deal with any issue from whatever realm of approach. However, the lack of knowledge or the present day ministry of the Holy Spirit in a believer or the corporate community has prevented us from taking full advantage of the resource to pray effectively and strategically. When he, the Spirit of truth comes, he will reveal and guide us into all truths. He will take of mine and show it to you. In other words, until the spirit of truth comes to shed light into those deep complex issues of life, we may not be praying according to the divine direction that will lead us to that place of lasting freedom. This is where prophetic grace is required even in the place of prayer. The ministry of revelation is the sole responsibility of the prophetic anointing in the life of a believer. Effective praying has to do with what is revealed first to us through the development and interaction with the balanced prophetic word ministry. Secondly, it has to be built on strong passionate relationship foundation with the Holy Spirit according to John chapter 16. Praying effectively and accurately must employ the various dimensions of the ministry gifts. The place of words of knowledge, wisdom and discernment with a solid combination of the fruit of the redeemed spirit are all footing that enhances our prayer foundation. The revealing of the mind of the father is an express combination of the ministry of Christ) the word and the Holy Spirit. The Holy Spirit guides us into all revealed truth that allows us to effectively pray and intercede according to the desired intent of the father. We today live is a society that have filled our hearts and thoughts with strange ideas and opinions to how we should view and approach life. The standard of the lord is no longer what defines values and principles of living even among so-called prophetic apostolic company. There’s so much of activity and preaching around the kingdom of God, while very little however is seeing or done in terms of cementing core kingdom values and Principles into the daily lifestyle of the greater Christian community. The church today has become so accustomed to listening to what may sound like the truth without necessarily desiring to live and abide according to the ancient biblical values. There are (philosophies) thoughts and values we’ve imported into the house of God that has totally derailed many from the apostolic pattern of true Christian lifestyle. As we examine this subject, I am sure you will agree with me about different aspects of life we’ve allowed strange ideas and thoughts to override the biblical standard designed for such area of existence. From how sin is defined to how we should conduct our lifestyle, to the patter of worship and service have all be changed to man’s opinion today. Not only are we seeing the world challenge the standard of the Lord, we are unfortunately, seeing the church also systematically changing what is deemed as difficult values in the word of God to a more soften standard to accommodate various communities. The truth is being cast out of the churches in the name of showing Christ love and being friendly to the lost. There is a divine pattern ordained by the Lord for everything we are expected to know or carry our behalf of the kingdom of God on earth. How to pray, and what should be the content should be what is sourced from the thought realm of the father and we are giving access to that realm if we seek diligently to know it. It is the glory of the father to conceal a matter, and the glory of kings is to diligently search it out. This is where kingdom centered prayer starts and ends if you ask me; the concealing and the unsealing of the mysteries of the father. We know that the thought realm is where desire, will, intention, passion and agendas are formed and in most cases executed. Action is as a result of what has been concluded or judged in the heart. If it is conceived within the thought realm, it will be carried out by an action, it’s only a matter of time. Whatever has not been formed in the thought realm has no [seed] life to form or produce fruit in the natural sphere. The issue how is, the unsanctified thought will never lead us into the place of true spiritual knowledge and intention, especially in the place of prayer.This is why we are told to have prayed amiss. Effective prayer life cannot be isolated or devoured from the total construct of our being. Lifestyle and prayer going hand in hand. A fragmented life will never be able to adequately understand nor appropriate effectively the purpose of prayer since he or she does not have a holistic approach first to life and then to the subject of prayer. To further have insight on the issue of the thought life, I will strongly advise you to study my articles on the mind, as the last day’s battlefield on my blog. The issue of Gods thought and the human thought is an interesting subject that if we are able to gain precise biblical insight, will both enhance and fast-track our journey the of true spiritual conquest. Apostle Paul further expands on this subject of Gods thought in 1 Corinthians chapter 2 chapter from verse 8 as he addresses the challenge of spiritual misconception and regeneration. … These are the things God has revealed to us by his Spirit. The Spirit searches all things, even the deep things of God. For who knows a person’s thoughts except their own spirit within them? In the same way no one knows the thoughts of God except the Spirit of God. What we have received is not the spirit of the world, but the Spirit who is from God, so that we may understand what God has freely given us. This is what we speak, not in words taught us by human wisdom but in words taught by the Spirit, explaining spiritual realities with Spirit-taught words 1Co 2:10-13. Therefore, it is highly imperative we keep this scripture before us as the portal and compass that will guide us into the current speakings and dealing of the Lord in prayer. Whatever we have been commissioned to carry out in this epic season will certainly require an ascended wisdom, and a keen sense of wisdom and discernment in order to precisely flow with the current release of the divine will of the father. New position in the Spirit requires a complete recalibration of our spiritual system and capacity for better accuracy. There is no stronger area of Christian life that so influences both the appropriation and outcome of faith and hope in the promises of the father than the idea of prayer. How we perceive, dialogue and transact spiritual business is mostly established on the rigid religious footing of our lives are built, more so, in the place prayer, reading the scripture, fasting and meditation. It is a known fact that most of what is generally accepted today as an effective prayer activity are based on our denominational exposure and the unique socioeconomic and geopolitical challenges of the regions we belong. While it is true, that prayer releases the [currency] grace that allows us to transact spiritual business for the redemption of nations and cities; it is equally true that if we are ignorant of the forces that influence the religious and socioeconomic condition of our society, our prayers risk being confined to the state of what we see, feel or read. There is no doubt, human challenges are real, and what that does is, it sends powerful emotional impulse signals to the undisciplined thought realm, which in most cases causes us to react in fear, anxiety and unbelief, which the enemy then uses as a weapon to weaken our faith and sight from pressing beyond the boundaries of temporal challenges. While prayer seeks to meet the current need of human life, the apostolic philosophy to how we ought to effectively pray should always override what we see or emotionally feel. The myopic view many in the Church have nursed in terms of the function and authority of prayer has long become obsolete as the Church enters into an ascended reality of engaging the forces of darkness at the gates of communities, cities and regions of the earth.